Happy Easter! 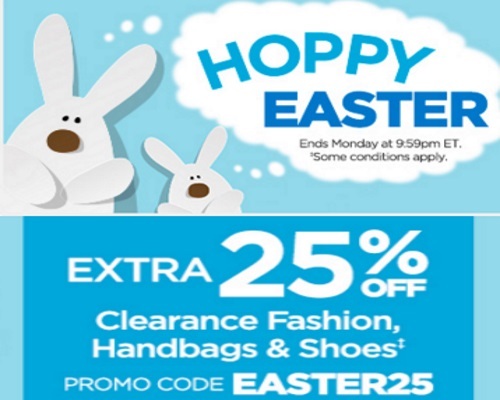 The Shopping Channel is offering an extra 25% off clearance fashion, handbags and shoes! Enter the promo code EASTER25 at checkout to get the discount. Offer ends Monday, March 28, 2016 at 9:59pm ET. Click here to browse TSC.